The devastating fire at Notre Dame caused significant damage to the famed structure, causing the spire to topple and gutting the inside of the Cathedral. There’s now an international competition aimed at finding the best way to repair and restore Notre Dame, but those architects and engineers could be getting some unlikely help – from a popular video game. 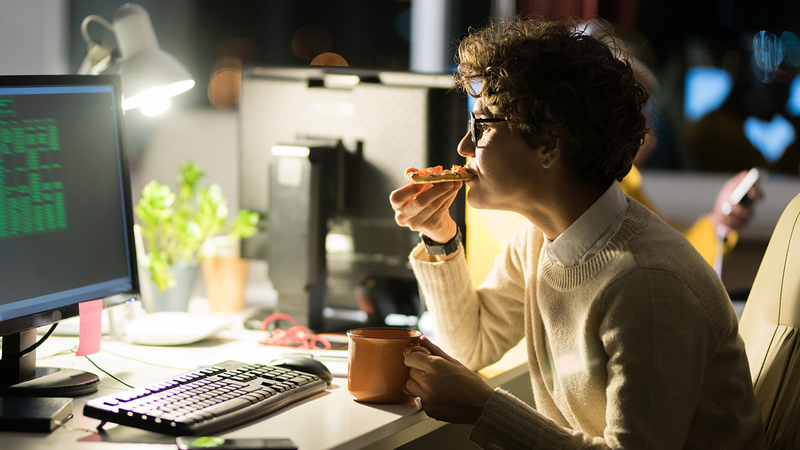 It’s a classic case of art imitating life- using gaming. 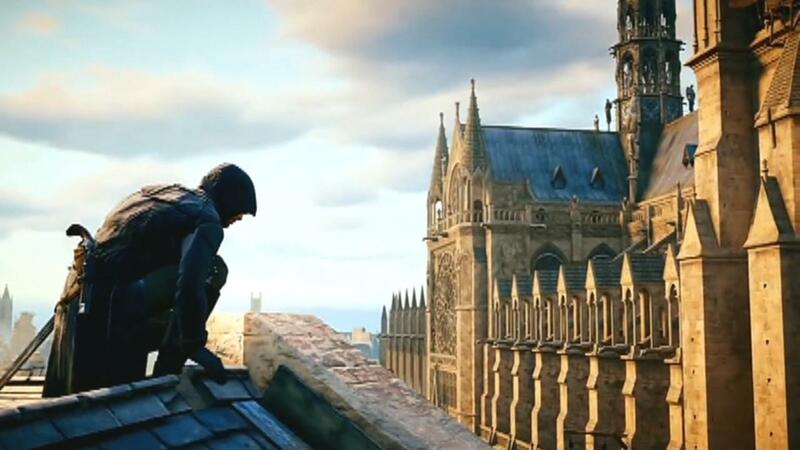 Ubisoft Game studio makes the massively popular “Assassin’s Creed” series, and they’re well-known for using real-life historical sites during game play, which is often based on real-life historical movements or events. And now the game’s eighth installment, “Unity”, is a potential source for help in restoring the centuries-old Cathedral. The 2014 game is set during the French Revolution, and centers around Notre Dame, which was painstakingly re-created for use in game play. The artist in charge says she took around two years to build a detailed model of the building, which she calls a brick-by-brick digital recreation – even including most of the artwork found inside. It’s significantly more detailed than a laser scan, and some experts are now saying the model could represent the best chance for architects to study the original construction. KINSHASA, Congo – A lawyer for Congo opposition leader Moise Katumbi says a court has annulled his three-year prison sentence, enabling him to return from exile in Belgium. The Court of Cassation, or supreme court of appeals, made the judgment Friday, saying that Katumbi can enter Congo a free man. Lawyer Jean Joseph Mukendi said the court found fraud in the sentencing. Congo’s government issued an arrest warrant last year against Katumbi, who had been a leading presidential contender before fleeing Congo in May 2016 after falling out with former President Joseph Kabila and as prosecutors announced they would try him on charges of hiring mercenaries, which he denied. Katumbi tried to enter Congo to register as a candidate for December’s presidential election. He said he was blocked at the border with Zambia. Rep. Eric Swalwell, D-Calif., argued the special counsel’s report “certainly” showed evidence of collusion and rejected the idea that President Donald Trump’s 2016 campaign deserved an apology for the controversial surveillance conducted under former President Barack Obama’s administration. He contended that although special counsel Robert Mueller’s report didn’t declare collusion beyond a reasonable doubt, it still showed enough evidence of troubling contacts between Russia and Trump’s associates. Swalwell argued that “reasonable suspicion,” a lower standard than “beyond a reasonable doubt,” was all that was necessary for starting an investigation. “There was certainly evidence of collusion, not evidence that met the beyond a reasonable doubt standard” he said on “Outnumbered” before affirming suspicions that Trump potentially knew about Russian activities related to the election. “This president is in no way cleared,” Swalwell said. 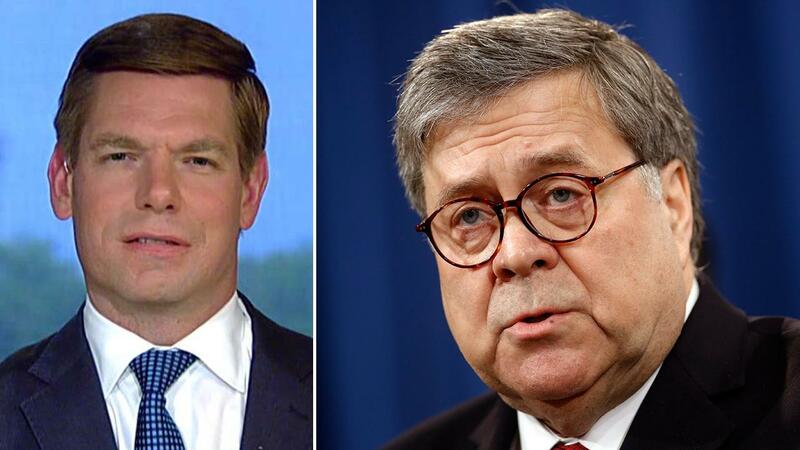 Swalwell’s appearance came amid growing pressure from Democrats for the Justice Department to reveal more information related to the investigation. 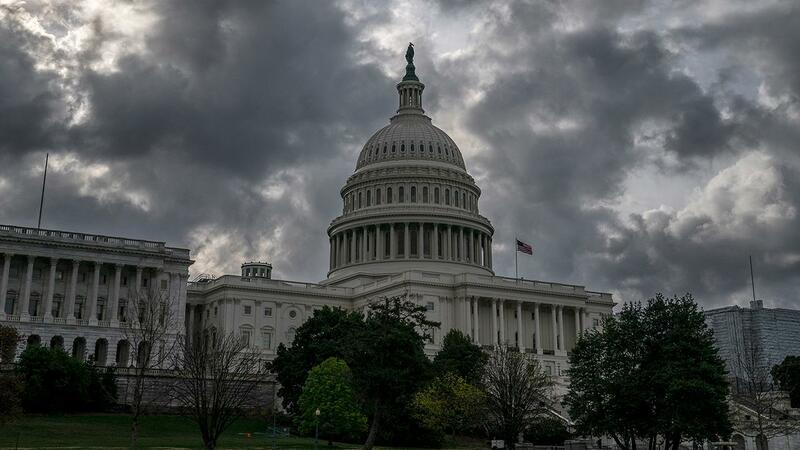 The Trump administration, however, has declared “Game Over,” arguing that the report put collusion and obstruction concerns to rest. Kellyanne Conway, Trump’s close adviser and 2016 campaign manager, indicated that the press owed her and the rest of the administration an apology. “We’re accepting apologies today, too, for anybody who feels the grace in offering them,” she told reporters on Thursday. “The big lie that you’ve let fly for two years, it’s over, folks,” she also said in reference to collusion. Swalwell, who serves on both the House Judiciary and Intelligence Committees, has acted as a key public figure in the Democratic push for further investigation. His interview indicated that Democrats would continue to pursue the issue despite speculation that it might be a poor political strategy going into 2020. Swalwell told Banderas that he wasn’t so much worried about the political consequences as he was about preserving American democracy. When asked whether Democrats should apologize, Swalwell seemed to decline the opportunity. “I’ll never apologize for loving our country so much that I don’t think any campaign transition or president should draw as close to the Russians and welcome their support and never tell law enforcement while they were seeking to support them,” he said. “I’ll always stand on our side rather than Russia’s, and I just wish the president would, too,” he said. 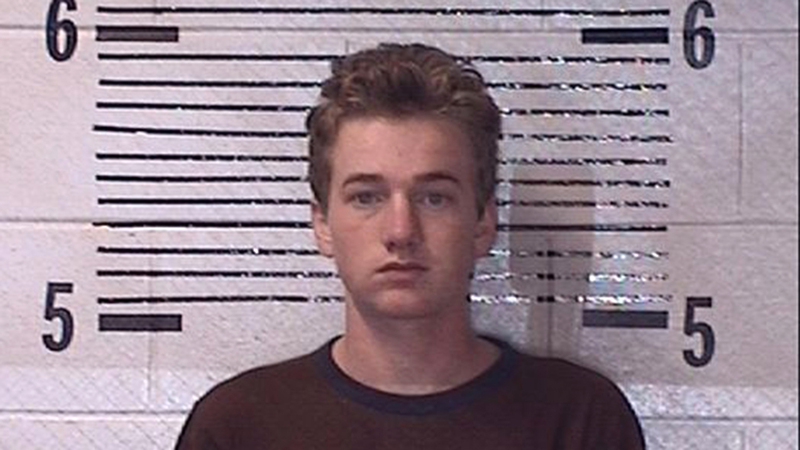 Jesse “Madison” Holton, then 17, was accused of gunning down his parents Michael and April Holton in their home in Eclectic, Alabama in September 2016. Michael Holton, the former mayor of the town, was found dead with a gunshot wound to the head. April Holton, 37, died a day later from severe head trauma. The killings rocked the tiny town and many believe Holton is to blame. The case will be highlighted on NBC’s “Dateline,” airing Friday night. Authorities at the time said that Holton threw a party – which involved drugs and alcohol – without his parents’ permission. The couple returned home to find their house in complete disarray. Michael Horton called the sheriff’s department and when authorities arrived, they found the father had handcuffed the son and told officers he planned on signing a juvenile warrant the following morning. The deputy left but about a half hour later, a neighbor called the cops to say Holton showed up and claimed his parents were fighting. The police officer returned to the scene and found Michael Holton dead of a gunshot wound to the head and his wife April critically wounded. Holton told authorities that his father shot his mother before turning the gun on himself. However, investigators doubted his story and said the physical evidence at the scene didn’t match up to Holton’s recollection of what happened. Holton was charged with his parents’ deaths but in October the district attorney dropped the charges. “From the beginning, this case has been open to interpretation as to what is actually the truth…either Jesse Holton killed his father and mother; the father of Jesse Holton killed Jesse’s mother then Jesse killed his father; or the father of Jesse Holton killed Jesse’s mother and then killed himself,” Elmore County District Attorney Randall Houston wrote in a statement. Joanna Gaines had an adorable surprise visitor with her birthday breakfast in bed on Friday morning. The 41-year-old designer’s husband, Chip, tweeted a picture of their 9-month-old son Crew sitting on the couch ahead of the surprise. “Crew is ready to surprise ⁦@joannagaines⁩ with breakfast in bed.. happy birthday Joanna! #AkaMom,” Chip tweeted. The couple has four other children: Drake, 14, Ella, 13, Duke, 10, and Emmie, 9. On Monday, the former “Fixer Upper” stars were named among the most influential people on the annual TIME 100 list, and their tribute was penned by Tim Tebow. 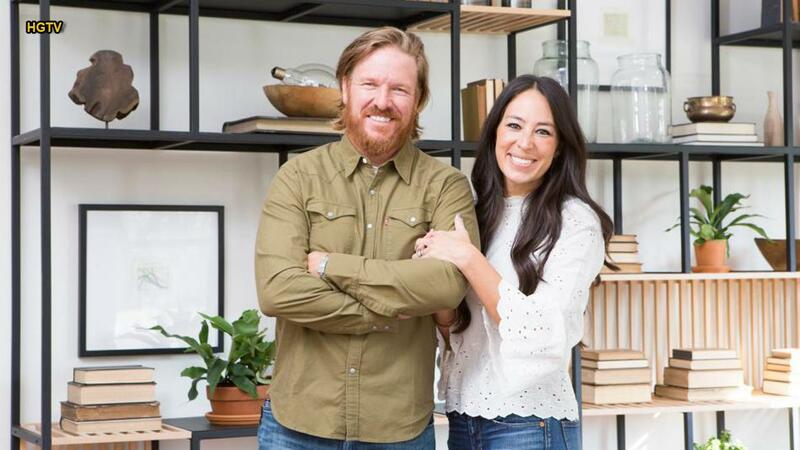 Earlier this month, the couple confirmed they are developing their own network, which will be released in the summer of 2020 and will replace Discovery’s DIY Network. ELKVIEW, W.Va. – Authorities say a wild squabble between two West Virginia brothers came to an abrupt end when one of their wives cracked her brother-in-law in the head with a log. A criminal complaint filed Thursday by the Kanawha County Sheriff’s Office says 48-year-old Edward Guy Cornish is facing multiple charges after a fight with his brother in Elkview. The complaint says Cornish first pointed a rifle at his brother but the brother was able to wrestle the gun away. Deputies say Cornish then pulled out a large knife and tried to stab his brother. That’s when the brother’s wife hit Cornish in the head with a piece of firewood, knocking him over. Cornish left before authorities arrived but was arrested after returning to the scene. He has requested a public defender but hasn’t been assigned a lawyer yet. The two-term senator announced this month that he had been diagnosed with cancer but told Fox News it had been caught early. He had been openly contemplating a 2020 run and suggested he would follow through with those plans if the surgery went well. “I feel really lucky. It was caught early and this is a really treatable form of cancer and we have insurance. I think I’m going to be fine. I hope I will because I really want to have the opportunity to run in 2020,” he said earlier this month. He noted in that interview that then-Sen. John Kerry, D-Mass., had successful cancer surgery at the start of his 2004 presidential campaign. Bennet had said before his surgery that he hopes to jump into the White House race within a few weeks of the surgery if he gets a clean bill of health. 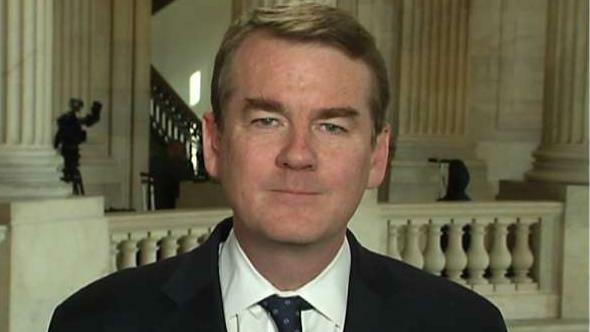 Bennet will face a struggle to catch up with other contenders, some of whom have bigger name recognition, larger campaign war chests, and have been in the race longer. However, he is not the only candidate leaving it late to jump into the packed Democratic field. Former Vice President Joe Biden is expected to declare his candidacy for president next week, two sources told Fox News Friday. “We could not order Conroy to allow Barker to deliver a secular invocation because the House permissibly limits the opening prayer to religious prayer. Barker has therefore failed to state a claim for which relief can be granted,” the opinion stated. Barker had alleged that Conroy rejected him “because he is an atheist.” But the court determined that while that may be true, the House requirement that prayers be religious holds weight. “In other words, even if, as Barker alleges, he was actually excluded simply for being an atheist, he is entitled to none of the relief he seeks,” the opinion said. The tradition of House and Senate prayers goes back to 1789. The House and Senate both begin their legislative days with a religious invocation, frequently delivered by Conroy and his Senate counterpart Barry Black. 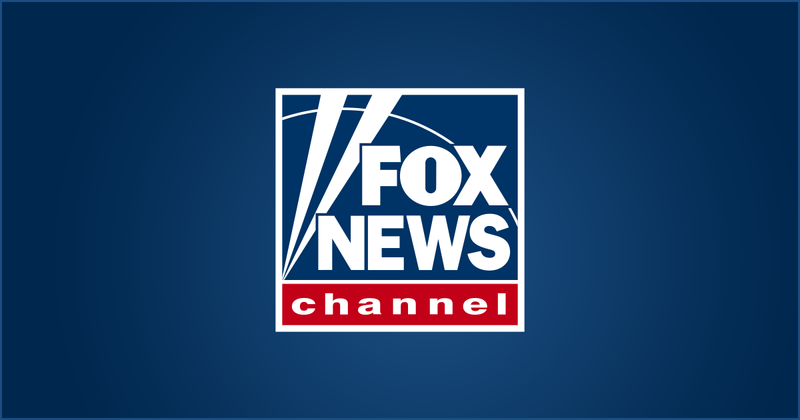 Knight made the comment on Kilmeade’s radio show on Friday. “It wasn’t just a major. It was the Masters, and it was – gave me goosebumps and, to be perfectly honest, a few tears,” said Knight. Woods did the unthinkable Sunday and pulled off his first Masters victory since 2005 – the 43-year-old’s first major tournament win in more than a decade. In addition to Woods’ fifth Masters championship and 15th major title, trailing only the great Jack Nicklaus in both categories, Sunday marked his 81st victory on the PGA Tour, one away from the career record held by Sam Snead. 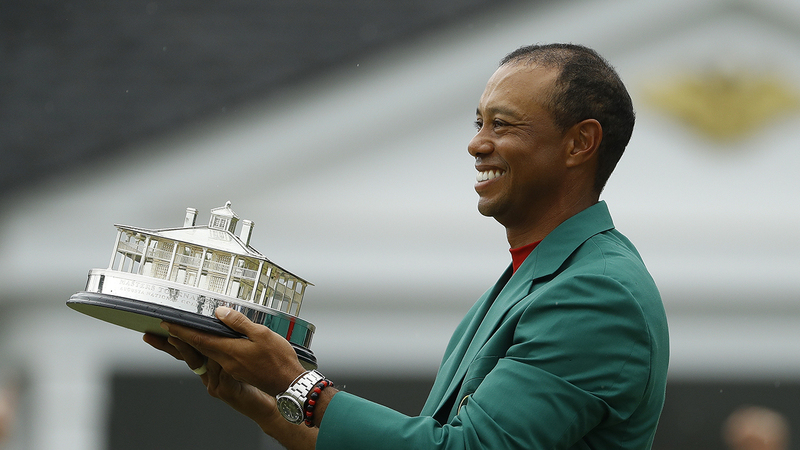 It was also the first time Tiger won a major when not entering the final round with at least a share of the lead. “I really believed that he would win again,” said Knight. Reacting to the win Sunday, Woods scooped up his 10-year-old son Charlie, hugged his mother and then his 11-year-old daughter Sam, and everyone else in his camp that stood by him through a public divorce and an embarrassing DUI arrest from a concoction of painkillers and surgeries. “He’s got the same driver’s license, but he’s a different guy. That — basically he was brash and confident and wouldn’t let anything interfere with his mindset,” said Knight.